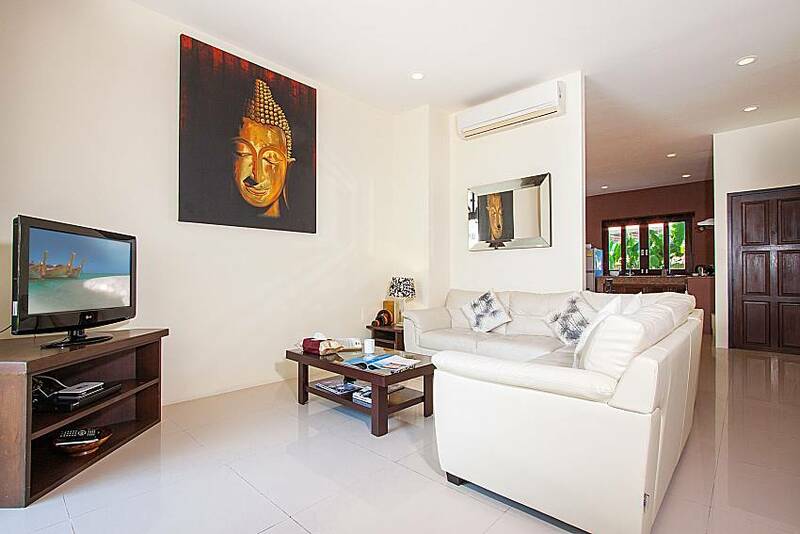 This cozy 2-bedroom villa is located in a prime holiday location, set amidst a resort at Bophut on the northern coast of Koh Samui, just 1.5km from the beach. 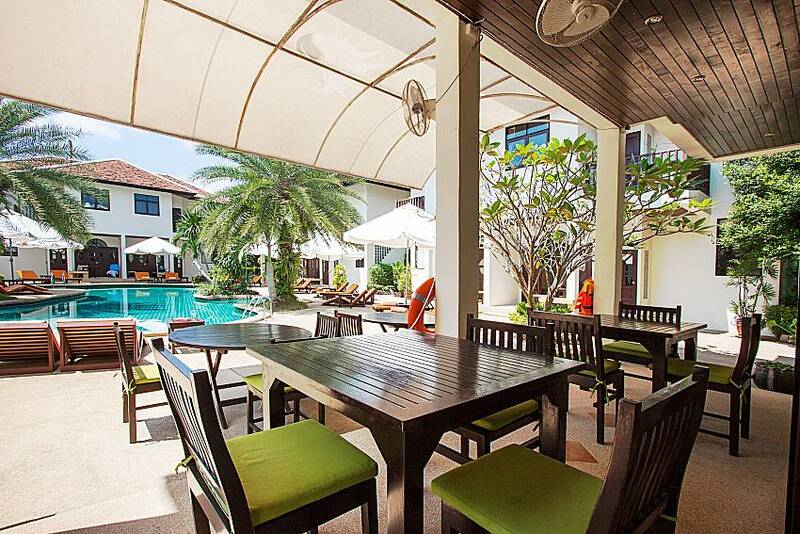 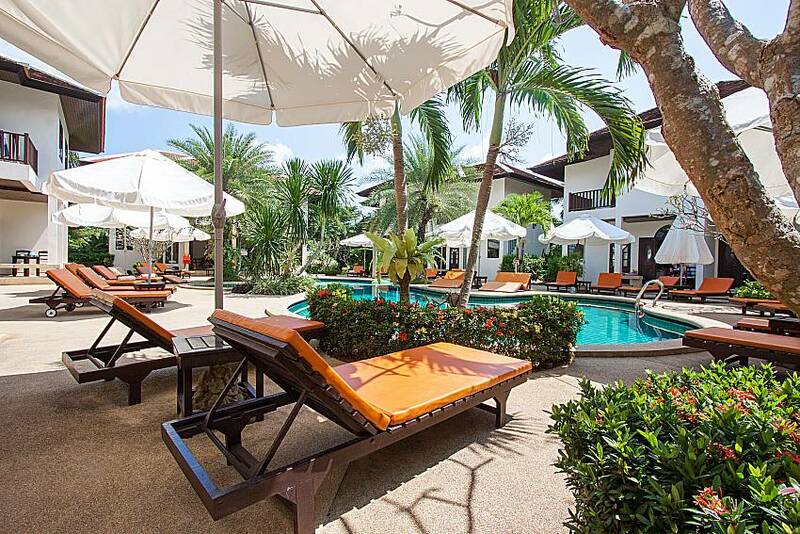 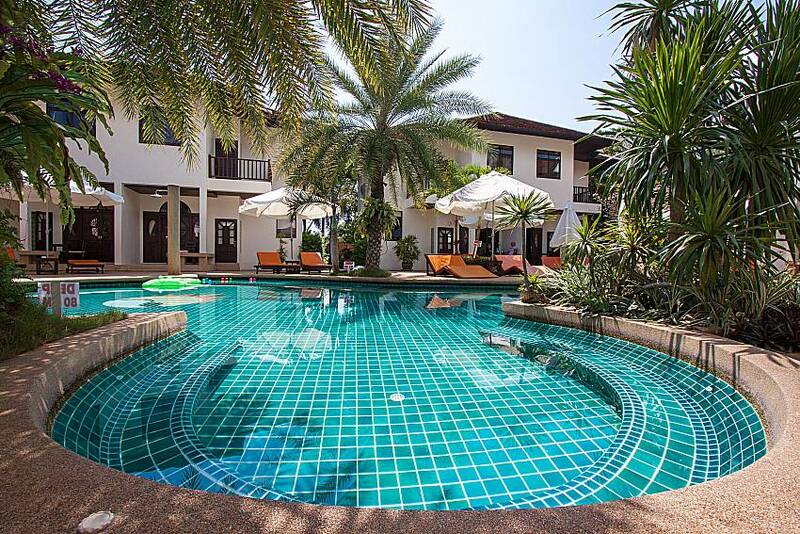 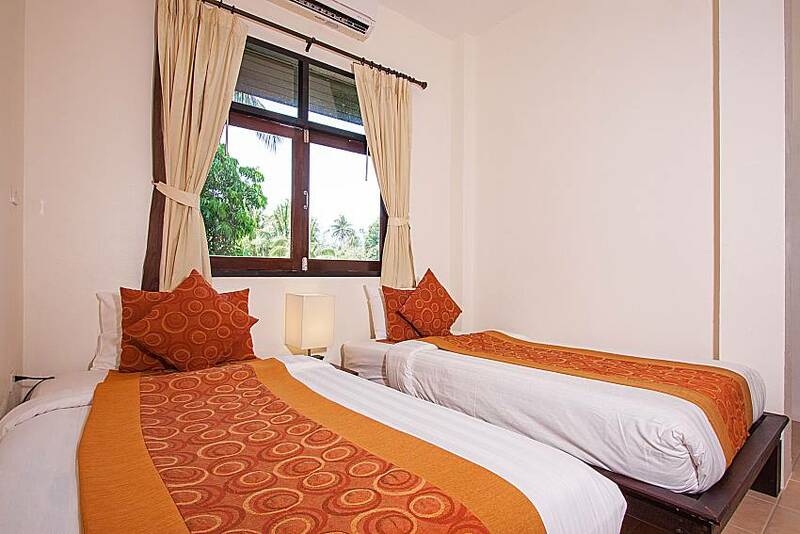 With a communal swimming pool and relaxing atmosphere, this is a fantastic holiday rental in Samui. 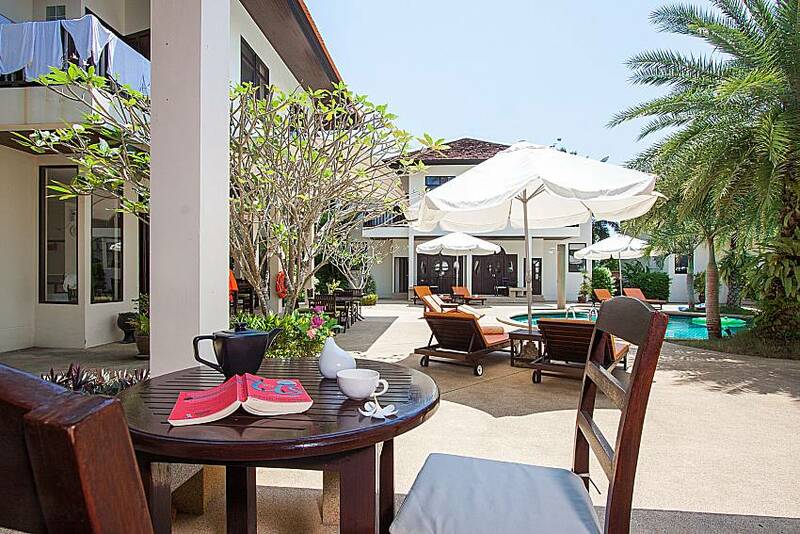 Nestled amidst a stunning resort in the heart of Bophut, this modern 2-bedroom villa makes for a desirable rental option. 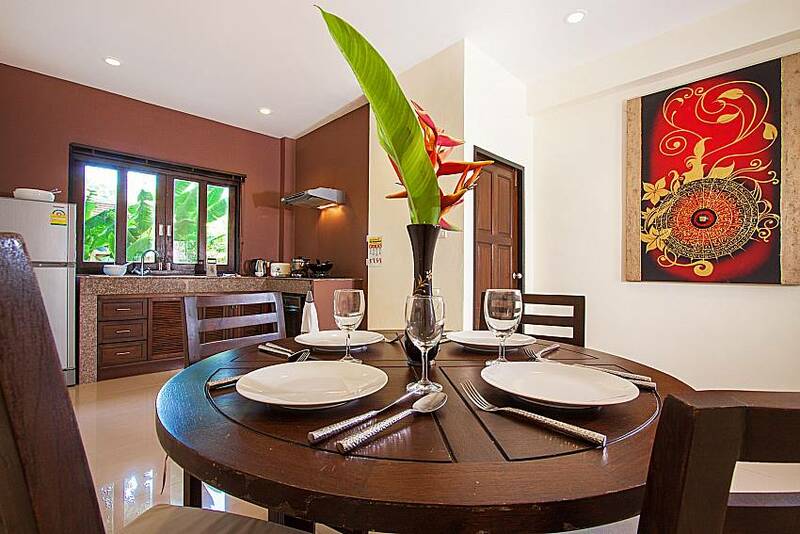 Sat aside the resort’s communal swimming pool and coming with a comfortable yet relaxing interior, the villa sleeps up to 4 people and is ideal for a small family with kids. 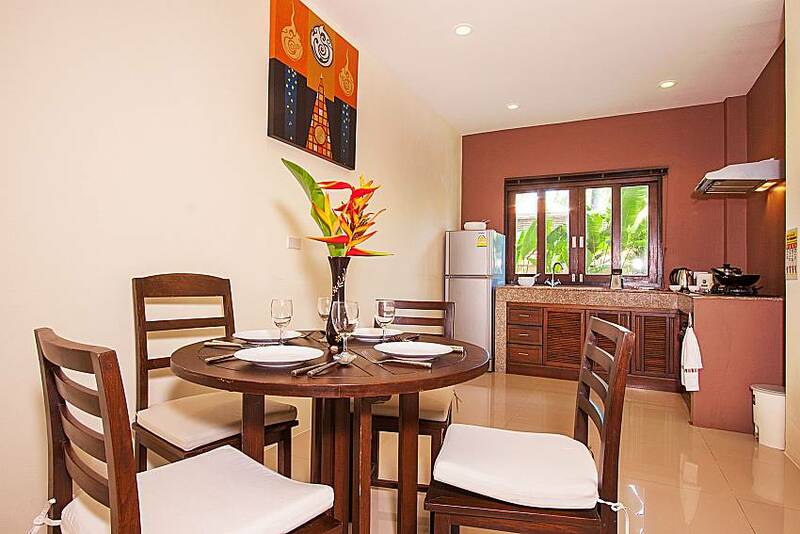 Making your way into the villa, you are greeted by a modern and spacious open living space, home to a lounge with a sofa and flat-screen TV, alongside a dining area with a circular 4-seat wooden dining table. 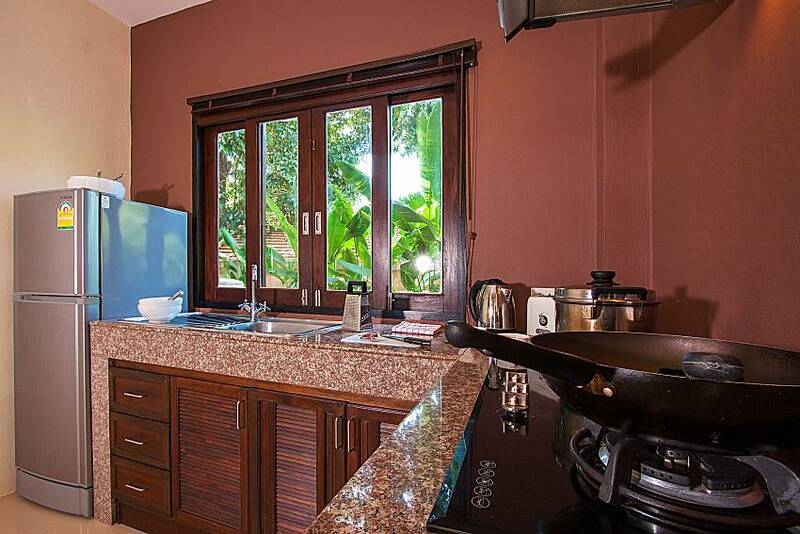 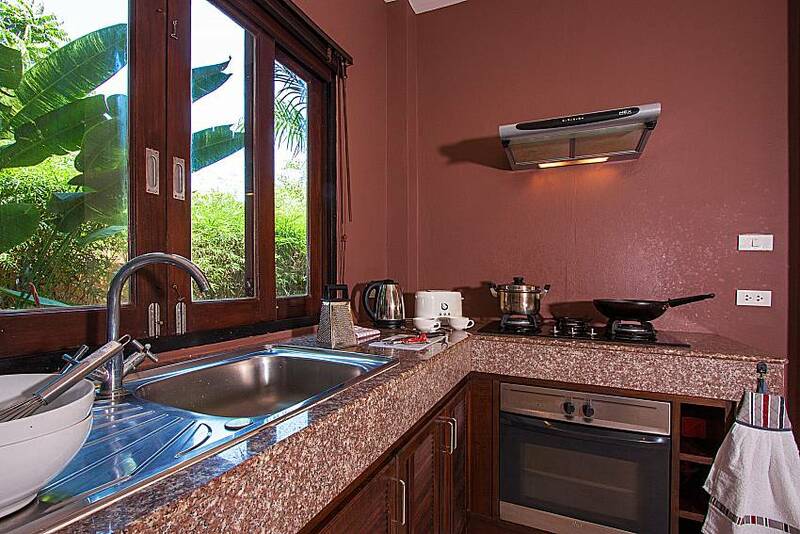 The kitchen has a vast choice of appliances, making self-catering a seamless experience. 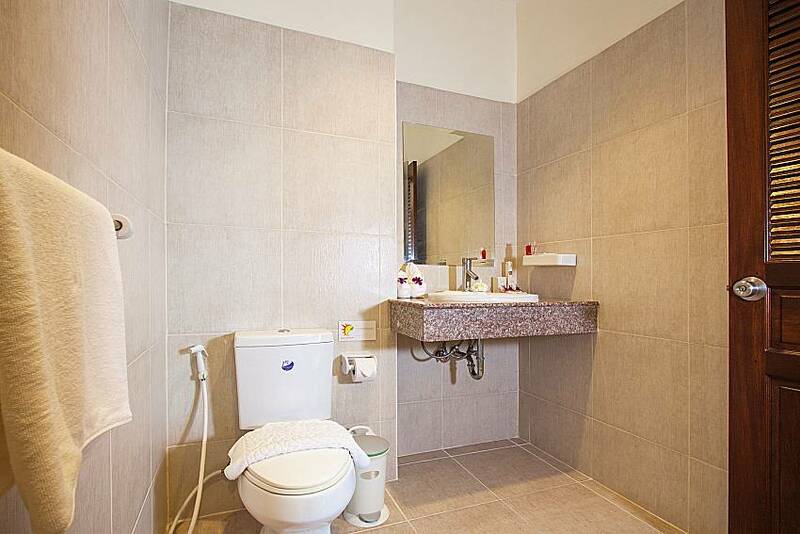 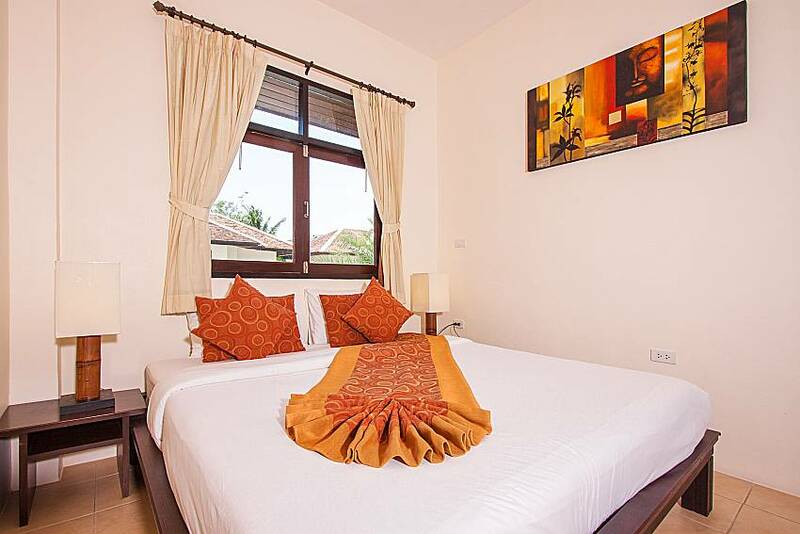 The two bedrooms are modern, with the master coming equipped with a double bed, while the guest bedroom has 2 single beds, perfect for those with children. 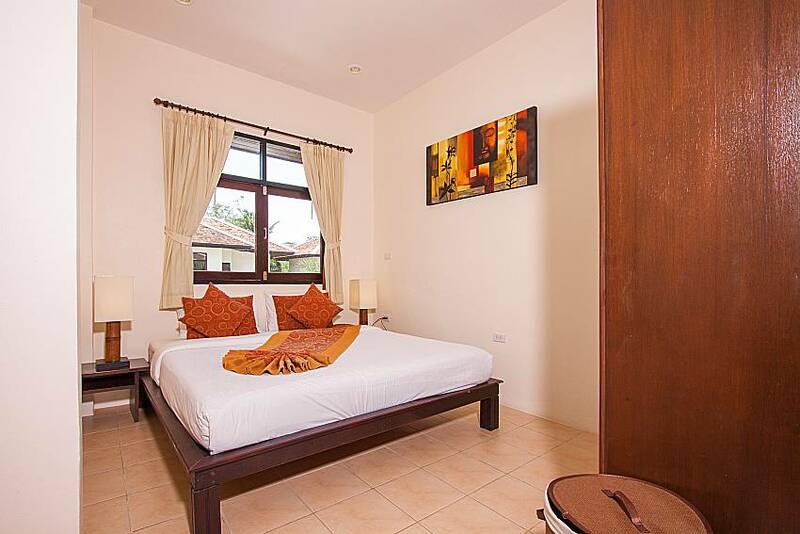 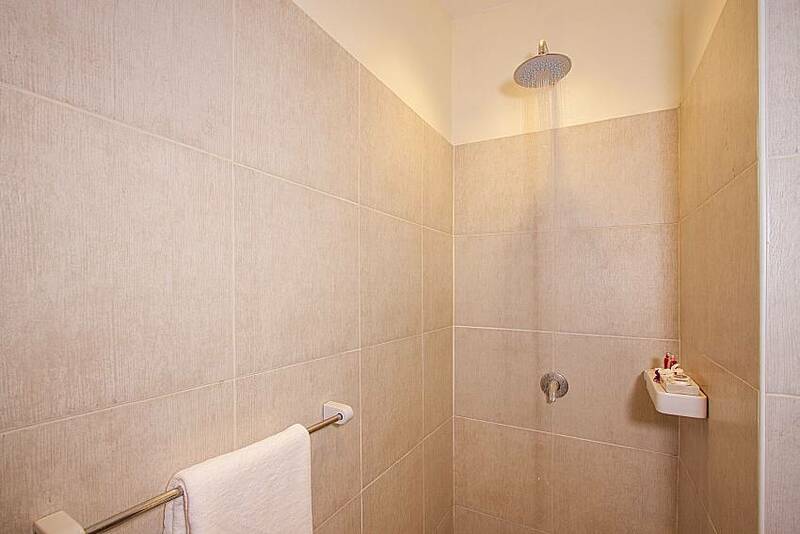 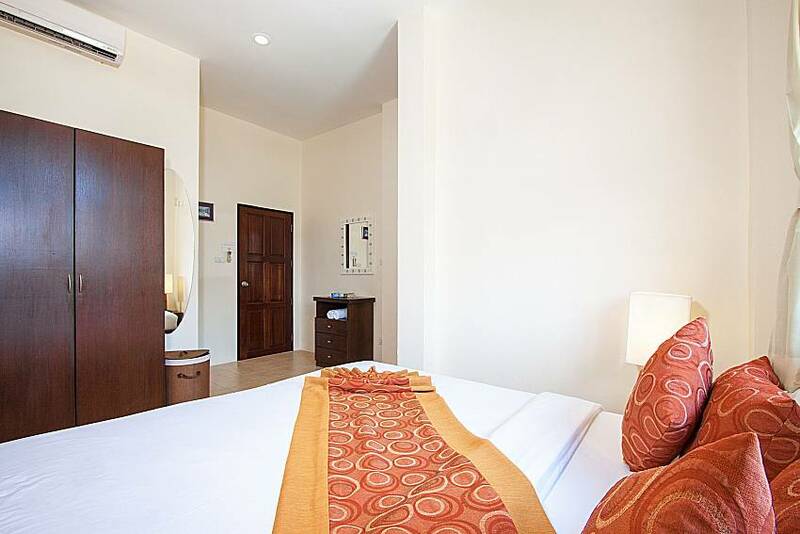 Both bedrooms have large wooden wardrobes, air-conditioning and ensuite bathrooms. 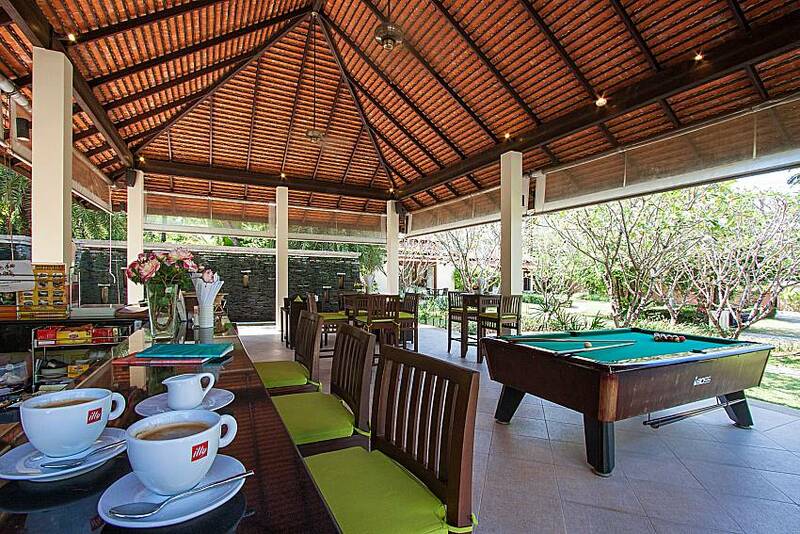 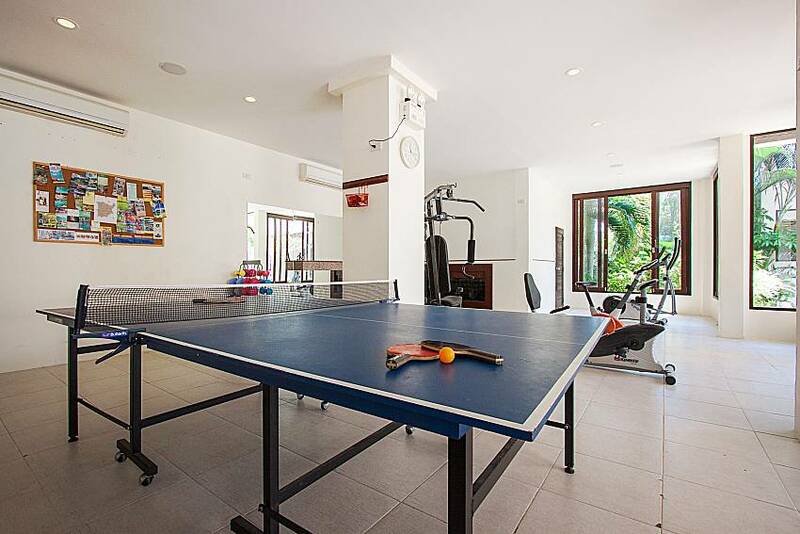 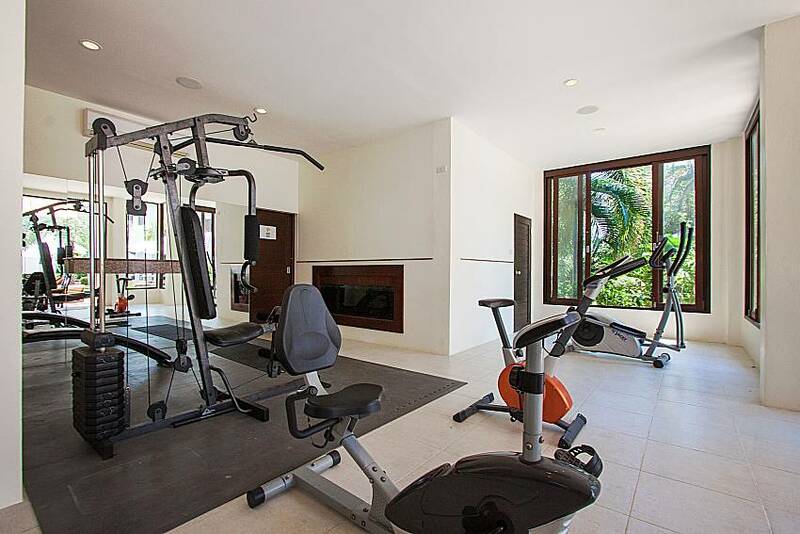 The best part about staying in this villa is the communal resort facilities, such as a swimming pool, gymnasium and games rooms with table tennis table. 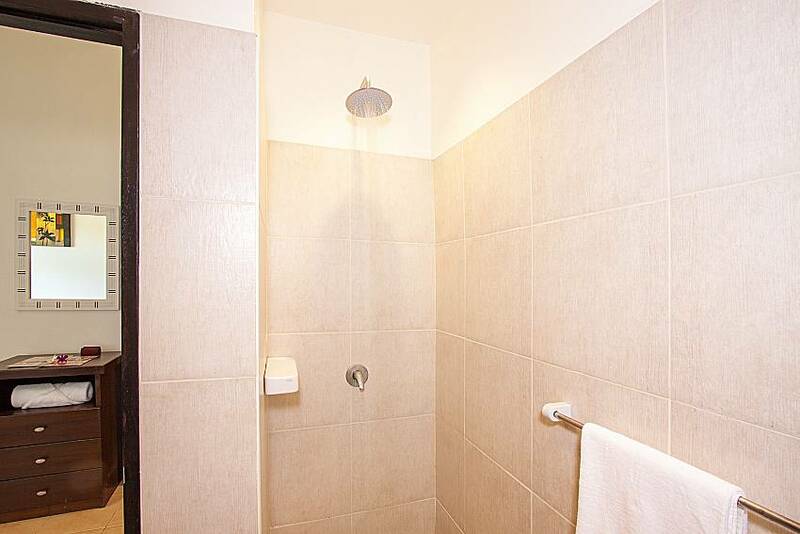 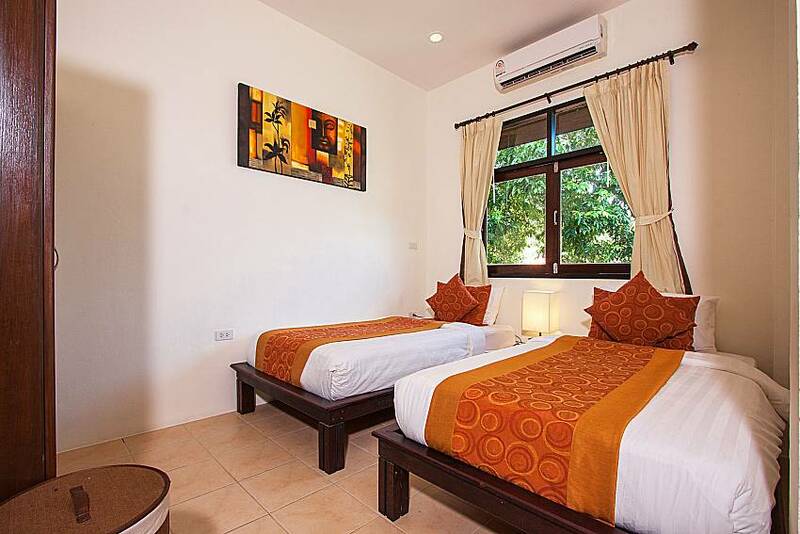 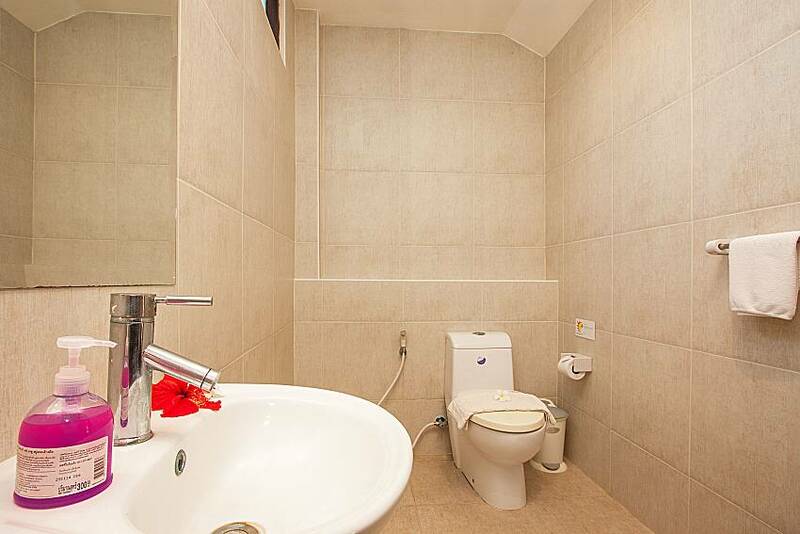 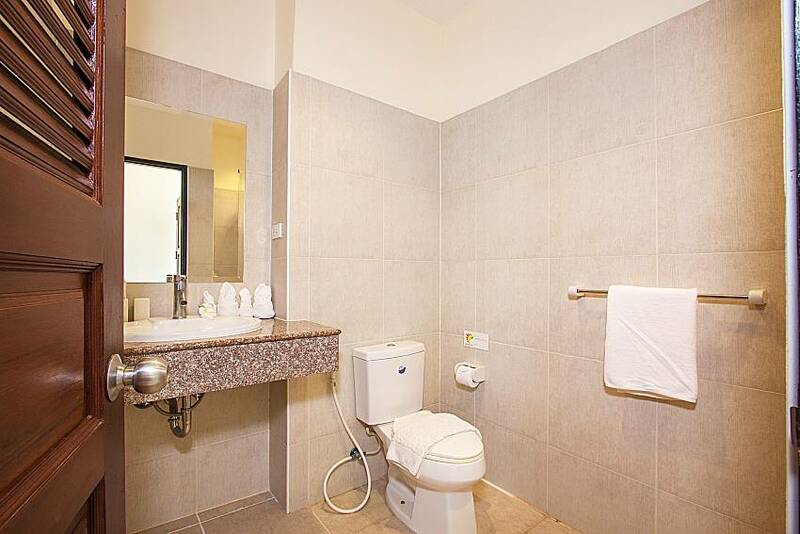 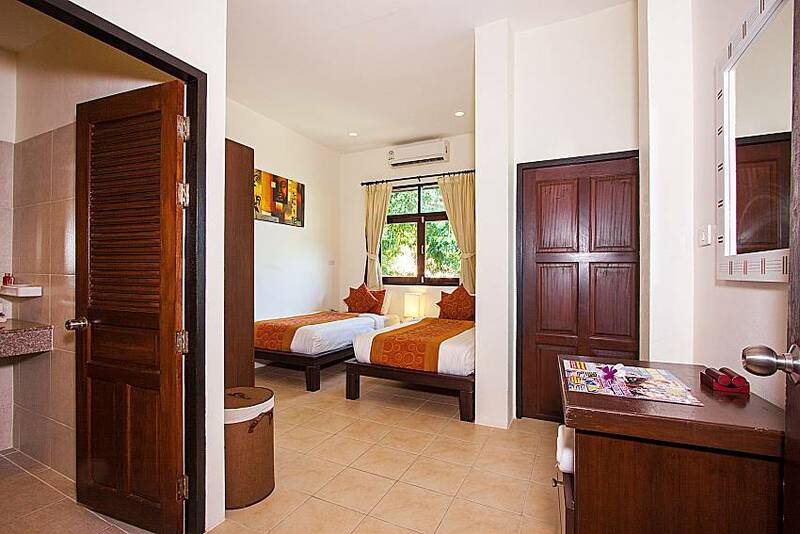 This is a location that merges privacy and convenience, situated in Bophut on the north coast of Koh Samui, just a 5-minute drive to Fisherman’s village, which is an area with lots of shops, bars and restaurants. 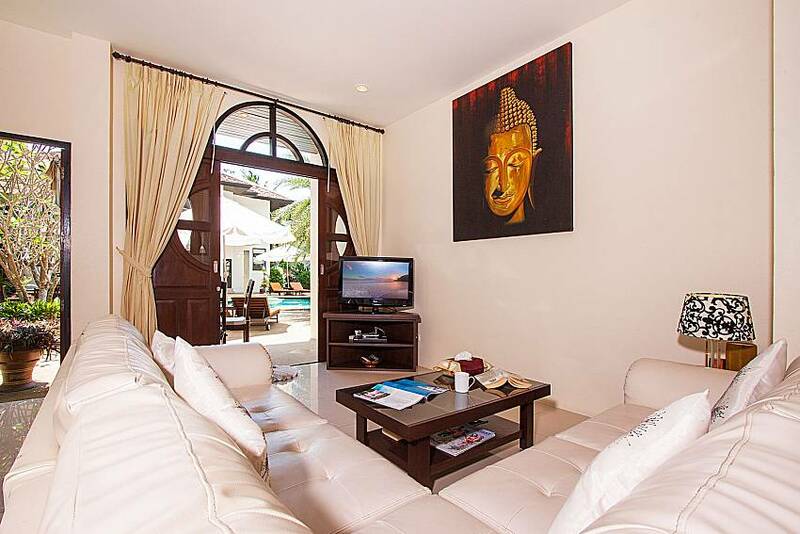 The beach is just 1.5km from the villa, and with nearby attractions such as the Big Buddha, everything you need is close at hand. 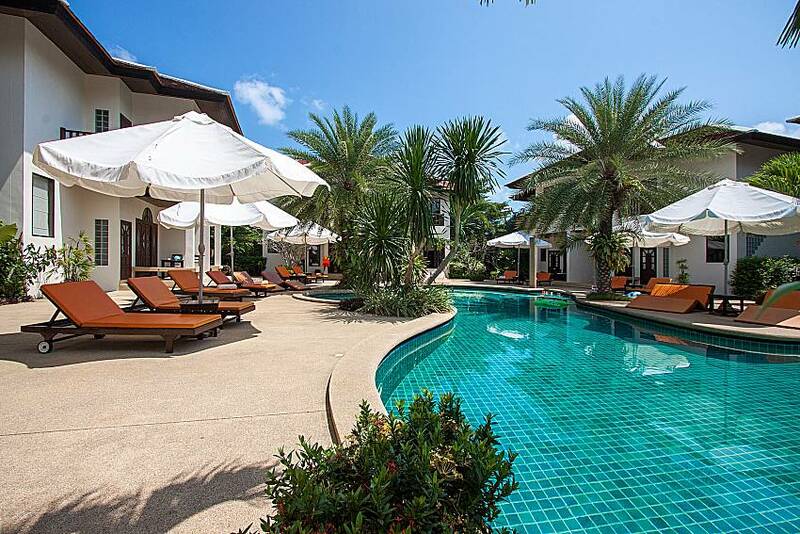 Click here to see a handpicked selection of luxurious Koh Samui villas.